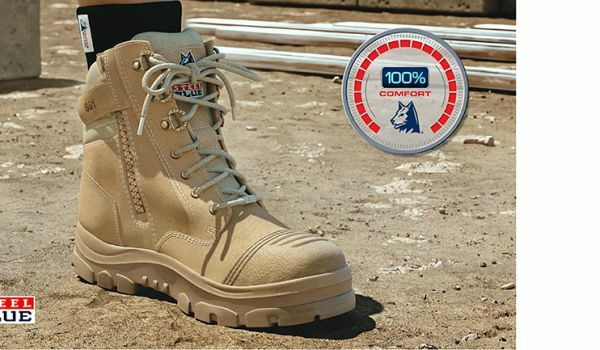 All of our work boots feature either Anti-Static or Electrical Hazard (EH) protection. Most Steel Blue boots are Anti-Static, meaning they dissipate the amount of static electricity build-up on your body. In fact, they actually conduct the static electricity through the soles and into the ground. This offers a level of protection against ignition hazards such as flammable materials and gases. If you work with flammable materials, ignitable gases, sensitive electronic equipment or in an environment that creates static electricity build-up (where you get ‘zapped’ from touching doors and machinery), you’ll benefit from these Steel Blue boots. Anti-Static work boots should be cleaned and tested regularly to ensure the Anti-Static properties haven’t deteriorated. Flexing, contamination and moisture can change their electrical resistance. Our non-conductive footwear is designed as a supplemental form of protection to the wearer from hazardous step potential (the difference in electrical potential between the feet) while standing on the ground. 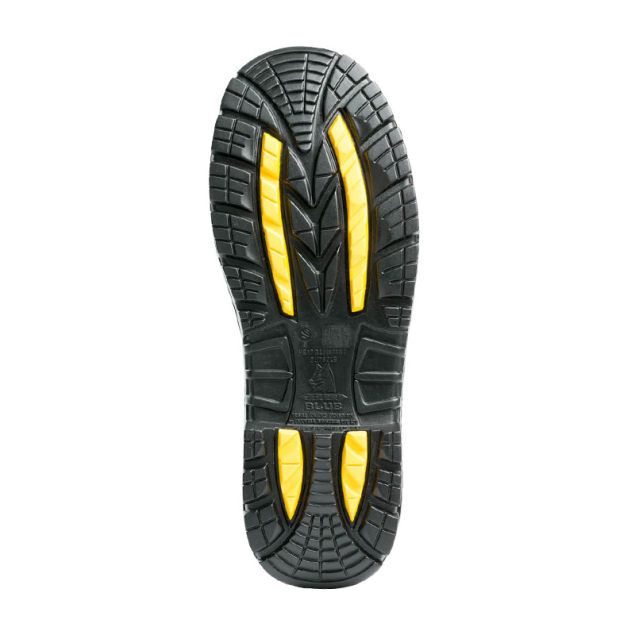 These Steel Blue boots are clearly marked and have a distinct yellow colour plug in the rubber sole. This footwear is not suitable where anti-static properties are needed. Note: Electrical Hazard footwear is to be used in conjunction with primary protective equipment in areas and environments where there is a need to reduce the risk of electric shock due to accidental contact with live electric wires. EH safety shoes should not be used as the primary source of protection in an electrical hazard environment. 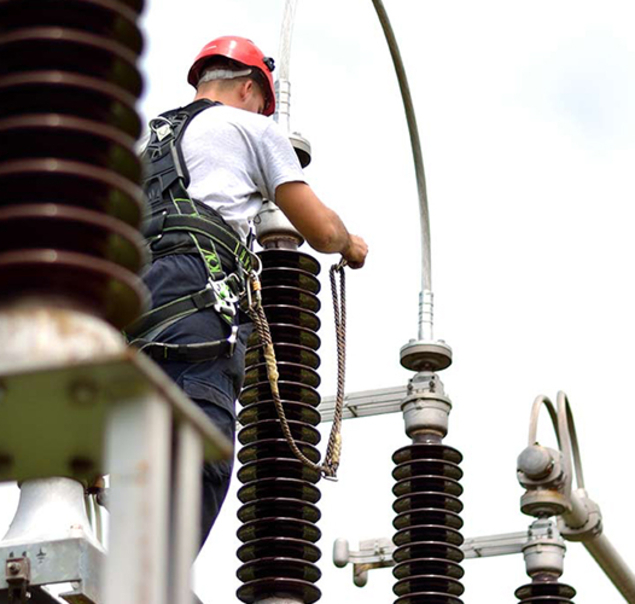 A variety of methods such as maintaining appropriate distances, use of isolation methods, use of grounding methods for step voltage control, etc. should be considered to provide protection. EH Series: Electric Shock Resistant: 18000 volts at 60 Hz for 1 minute in dry conditions, leakage current of less than 1 milliamperes. Meets requirements for American Standard ASTM F 2413 – EH. Exposure to wet or humid environments. In wet environments where the protective qualities of the footwear are compromised and where there is a step potential hazard, Dielectric overshoes should be used. Keep the shoes and outsoles free of conductive materials such as screws, nails and metal shavings. Dry the footwear thoroughly after use. Clean outsoles with a mild soap and warm water. To avoid cracking, store footwear away from electric motors or electric fields. 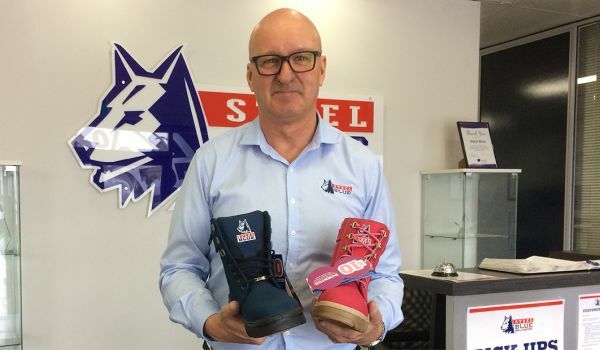 Inspect footwear for any visible damage prior to use, such as punctures, tears, snags and cracking. Dispose of the footwear if embedded with conductive materials, or if wear causes the outsole thickness to diminish noticeably. These conditions will result in significant reduction or elimination of the footwear’s protection if the wearer steps on an electrical circuit.